Vivid and bold Scottish Thistle patch. This shield shaped patch is perfect when placed in between two letters, on bags that accommodate three small patches. 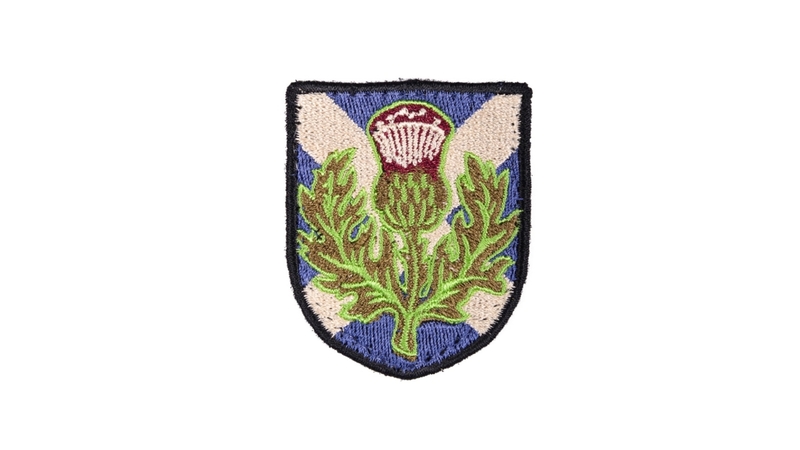 For the patriotic scotsman (and woman) this Scottish Thistle patch looks great on our personalised boot bag for rugby, or gum shield case, along with our similarly designed Wales patch, Ireland patch and English Rose.